The Body Finder by Kimberly Derting, oh how I love thee. This book is made of awesome, fabulousness (I know it's not a word, but still! It's that good!!). So fabulous, actually, that I'm positive I will only have to mention a few key points about it, and you too will want to read it. So, before you read any further, please make sure you have ample free time. Not because this review is going to take up a ton of time but because as soon as you read it, you will want to go to the book store nearest you, buy The Body Finder, and then read it in its entirety, immediately. And I'm not kidding. 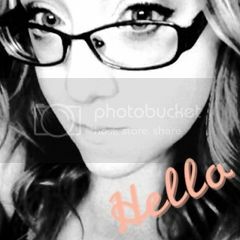 First, me being the cover junkie I am, I have to start with the cover. I mean, look at that cover! Isn't it beautiful? And the title, it's simple and intriguing and perfect! Now, who could pass up a cover and title like that?? If you can, you must be crazy. Then again, if you haven't read this book yet, you must be a little crazy already. 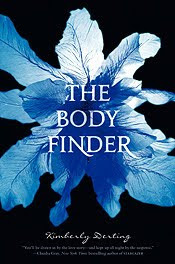 Moving on to my next point, The Body Finder is a YA book. (For those of you who don't know: YA=best books on the face of the earth! Yeah, you heard me: The Best!) More than that though, it's a YA book who's strong and lovable MC can sense dead people, which is super cool and kind of creepy. But mostly cool! So, what do you think? You all want to run out and buy your copy of The Body Finder right now, don't you? Well, I guess I was right. Ha-HA! But, if there is still anyone out there, quietly reading, waiting for this post to hurry up and end already, then I will be nice and let you sprint to the store, or to Amazon, and buy your copy now. If you could just wait until Monday, when I share my interview with the fabulously-awesome Kimberly Derting, you might be able to enter my next contest for a chance to win a personalized, autographed copy of The Body Finder for yourself. Maybe. You don't fight fair. There's a good guy in there? I adore good guys. Can't resist good guys. Must...go...find...my...good...guy! Definitely an amazing cover going on there, very intriguing. Sounds like a great suspense story too! Wow! That does sound like an awesome book! And yes, the cover is gorgeous. Thanks for the review. I loved the book! I borrowed it from a friend and devoured it! The trailer was what led me to want to read it... It's very good. So, I will come back on Monday cuz I want a copy of my OWN =P! As for YA with serial killers, check out CROSSING by Andrew Xia Fukuda. It's a great book -- a little more on the literary side, with some multicultural stuff thrown in -- but I too found the YA/thriller mix pretty intriguing. i hope i can find the original here in greece! This book is soooo good. It's one of my favorites out of all the books I have read this year. It is made of awesome. I REALLY want to read this book!!!!!!! Sounds so good!! Oh man, bad boys are hot. Hard to resist. But deep-inside good boys are to die for. Love it. I'll have to come back for your interview and contest! Someone else had a contest for this and I missed it. :( But I don't intend to do it again! There's a good guy in there? I adore good guys.